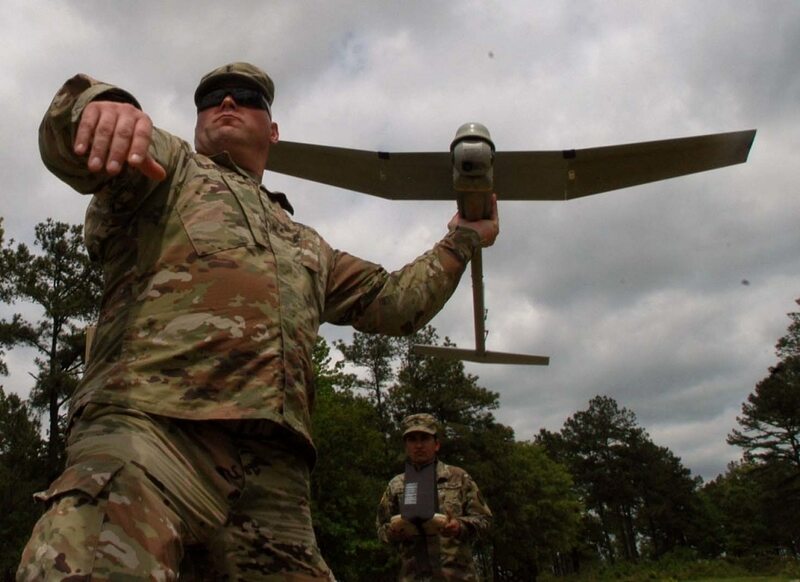 Army units at and below the battalion level are unprepared to defeat aerial drones and current plans can’t keep up with rapidly evolving technology, according to a recent study. Back in 2016, the Army Research Office asked an outside organization, The National Academies of Science, Engineering and Medicine, to evaluate their counter drone capabilities for battalion and below operations. The report they published earlier this year notes some significant gaps and threats to soldiers with this technology. “Contrary to the past, when U.S. warfighters may have found (improvised explosive devices), now the IEDs will find our warfighters,” according to the report. While the Army and Marine Corps, which also included representatives in the study, are throwing resources at the small drone problem, they are not keeping pace with the threat. “Army time frames are significantly out of sync with the rapidly advancing performance capabilities of individual (small Unmanned Aerial Systems) and teams of sUASs,” according to the report. DARPA holds competitions among innovators to push the technology forward for light infantry units. The report noted that most of the service’s counter drone asset work was focused on heavy vehicle platforms or on fixed sites, which leaves smaller units most likely to first encounter the threat more exposed. “Significant quantities of man-portable” counter-drone systems have been fielded, Army spokesman Maj. Chris Ophardt told Army Times in an email. The Army will continue to pursue those capabilities based on emerging threats. Based on his response, which did not include details of capabilities, the Army is pursuing other ways to defeat drones. A large portion of the study was classified, due to operational security concerns. “Future Army C-UAS systems will encompass a variety of potential platforms to include fixed, mobile, and Soldier-portable capabilities,” Ophardt wrote. But beyond the types of systems employed, what they’re targeting or attacking also came under fire in the report. Drones now available can use automated target recognition, tracking, obstacle avoidance and other software-enabled activities instead of traditional RF and GPS. A new school began last month at Fort Benning, Georgia to give basic trainees familiarity with small drones. The drone school gives infantry and scouts the ability to fill out a seven-line report when they encounter a drone then relay that info to their headquarters. The students use both fixed-wing and helicopter small drones. They also learn defensive tactics such as how to use dispersal and hiding tactics to minimize casualties from drone-coordinated fires, according to an Army release. Those introductory tactics can help even brand-new soldiers start thinking about how to deal with drone threats. But, at the same time, the low-level tactics currently used for counter drone work have tried to use “kinetic effects,” basically shooting down the drone by interfering with its signals or overheating its circuits. The report noted that method isn’t practical on a wide scale for large numbers of troops, especially dismounted units. That path only adds more gear from the equipment to the batteries, to an already overloaded soldier, not to mention the “cognitive load” of training and using another piece of equipment, according to the report. Ophardt responded that the Army’s counter-drone strategy included “multiple methods” to detect, identify and defeat” enemy drones. The major provided a similar response when asked about Army efforts at counter-drone tactics, capabilities against swarming drones and collaboratively acting drone groups, which the report remarks will be more prevalent and sophisticated as soon as 2025. Report authors urge Army leaders to adjust their timelines for matching tech development, which are woefully inadequate for the exponential changes in software, hardware and drone capabilities. Current Army time frames consider near-term planning to run from now until 2025; mid-term planning in the 2026 to 2035 window and far-term at the 2036 to 2050. Those efforts mirror vehicle acquisition strategy timelines, not the drone arena. The report pushes for a near-term planning of one to two years, mid-term at the three- to five-year level and far term in drone tech at the six- to eight-year range.